RRWPC continually receives large numbers of documents, reports, articles, and studies about our water environment. Sifting through the mound of paper and emails to decide what is important and what can be tentatively ignored or thrown out can become a humongous task. Often we use precious storage space to save things that end up falling by the wayside. The piles of information grow as the ability to absorb it all declines. 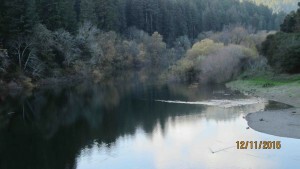 Summer water quality in the lower Russian River has been rapidly degrading as Sonoma County Water Agency (SCWA) wages an aggressive ad campaign to assure people that they care about the river. Weekly ads have been promoting their efforts. RRWPC responds to SCWA via Press Democrat Letter to Editor…. Sonoma County water issues continued on the front burner throughout 2010. Recent local election results indicate that things may get even more intense in 2011. With two brand new and two relatively new Sonoma County Supervisors, and critical budgetary cuts to be made, it is easy to predict that vast changes in County governance will occur at all levels. One change may be new leadership of and a possible restructuring at the Sonoma County Water Agency. That Agency is in charge of summer dam releases and river flows; they manage the water system for about 500,000 people in mostly urban areas, and are in charge of County sewer districts. We will keep you informed. Healdsburg Reclamation Permit and “incidental runoff”…..